Today is a historical day for economic reforms in India when the Rajya Sabha passed the major economic reform Bill moved by the Government i.e. ‘Insolvency and Bankruptcy Code, 2016’. This is considered as the biggest economic reform next only to GST. 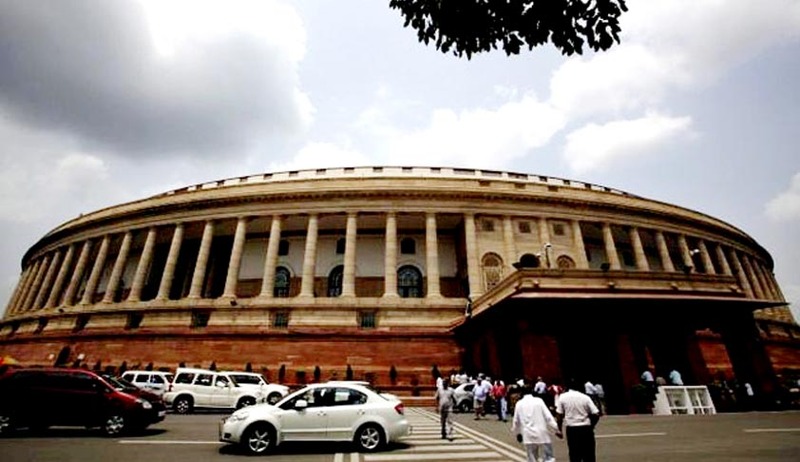 The Lok Sabha had earlier passed the Bill on 5th May, 2016. In India, the legal and institutional machinery for dealing with debt default has not been in line with global standards. The recovery action by creditors, either through the Contract Act or through special laws such as the Recovery of Debts Due to Banks and Financial Institutions Act, 1993 and the Securitisation and Reconstruction of Financial Assets and Enforcement of Security Interest Act, 2002, has not had desired outcomes. Similarly, action through the Sick Industrial Companies (Special Provisions) Act, 1985 and the winding up provisions of the Companies Act, 1956 have neither been able to aid recovery for lenders nor aid restructuring of firms. Laws dealing with individual insolvency, the Presidential Towns insolvency Act, 1909 and the Provincial Insolvency Act. 1920, are almost a century old. This has hampered the confidence of the lender. When lenders are unconfident, debt access for borrowers is diminished. This reflects in the state of the credit markets in India. Secured credit by banks is the largest component of the credit market in India. The corporate bond market is yet to develop. The objective of the new law is to promote entrepreneurship, availability of credit, and balance the interests of all stakeholders by consolidating and amending the laws relating to reorganization and insolvency resolution of corporate persons, partnership firms and individuals in a time bound manner and for maximization of value of assets of such persons and matters connected therewith or incidental thereto. The law aims to consolidate the laws relating to insolvency of companies and limited liability entities (including limited liability partnerships and other entities with limited liability), unlimited liability partnerships and individuals, presently contained in a number of legislations, into a single legislation. Such consolidation will provide for a greater clarity in law and facilitate the application of consistent and coherent provisions to different stakeholders affected by business failure or inability to pay debt. i- Clear, coherent and speedy process for early identification of financial distress and resolution of companies and limited liability entities if the underlying business is found to be viable. ii- Two distinct processes for resolution of individuals, namely- “Fresh Start” and “Insolvency Resolution”. iii- Debt Recovery Tribunal and National Company Law Tribunal to act as Adjudicating Authority and deal with the cases related to insolvency, liquidation and bankruptcy process in respect of individuals and unlimited partnership firms and in respect of companies and limited liabilities entities respectively. iv- Establishment of an Insolvency and Bankruptcy Board of India to exercise regulatory oversight over insolvency professionals, insolvency professional agencies and information utilities. v- Insolvency professionals would handle the commercial aspects of insolvency resolution process. Insolvency professional agencies will develop professional standards, code of ethics and be first level regulator for insolvency professionals members leading to development of a competitive industry for such professionals. vi- Information utilities would collect, collate, authenticate and disseminate financial information to be used in insolvency, liquidation and bankruptcy proceedings. vii- Enabling provisions to deal with cross border insolvency. The essential idea of the new law is that when a firm defaults on its debt, control shifts from the shareholders / promoters to a Committee of Creditors, who have 180 days in which to evaluate proposals from various players about resuscitating the company or taking it into liquidation. When decisions are taken in a time-bound manner, there is a greater chance that the firm can be saved as a going concern, and the productive resources of the economy (the labour and the capital) can be put to the best use. This is in complete departure with the experience under the SICA regime where there were delays leading to destruction of the value of the firm. The vision of the new law is to encourage entrepreneurship and innovation. Some business ventures will always fail, but they will be handled rapidly and swiftly. Entrepreneurs and lenders will be able to move on, instead of being bogged down with decisions taken in the past. A key innovation of the Insolvency and Bankruptcy Code is four pillars of institutional infrastructure. The first pillar of institutional infrastructure is a class of regulated persons, the ‘Insolvency Professionals’. They would play a key role in the efficient working of the bankruptcy process. They would be regulated by ‘Insolvency Professional Agencies’. The second pillar of institutional infrastructure is a new industry of `Information Utilities'. These would store facts about lenders and terms of lending in electronic databases. This would eliminate delays and disputes about facts when default does take place. The third pillar of institutional infrastructure is in adjudication. The NCLT will be the forum where firm insolvency will be heard and DRTs will be the forum where individual insolvencies will be heard. These institutions, along with their Appellate bodies, viz., NCLAT and DRATs will be adequately strengthened so as to achieve world class functioning of the bankruptcy process. The fourth pillar of institutional infrastructure is a regulator viz., ‘The Insolvency and Bankruptcy Board of India’. This body will have regulatory over-sight over the Insolvency Professional, Insolvency Professional agencies and information utilities. The Insolvency and Bankruptcy Code is thus a comprehensive and systemic reform, which will give a quantum leap to the functioning of the credit market. It would take India from among relatively weak insolvency regimes to becoming one of the world's best insolvency regimes. It lays the foundations for the development of the corporate bond market, which would finance the infrastructure projects of the future. The passing of this Code and implementation of the same will give a big boost to ease of doing business in India.